Video analytics have come a long way towards helping our communities! In the blink of an eye, an accident can happen, or someone can get assaulted. Whatever the case may be, our brave men and women in blue are out there protecting our communities from harm. While these people are obviously superheroes in their own right, they don’t actually possess any superhuman capabilities- at least not quite yet. With video analytics technology rapidly improving and powerful devices that are helping to change the world for the better, these brave men and women may be on the brink of gaining a little more superpower. For safer cities, communities need to begin rallying around the need for better equipment and technology. In fact, even though sight will always be one of our most important lines of defense, it can go only be leveraged to some extent. When there is a crisis, all we have is our memories to figure out the who, what, when, and where of the situation. However, as technology continues to progress, video analytics is rapidly becoming more than just an eye in the sky. Creating safer streets, communities, and neighborhoods is essential for everyone. In fact, using advanced video analytics to gain more safety in our communities is a wonderful way to see the immense benefits that accompany significant transitions in technology. Until recently, the long-held view of video analytics was pixel color recognition. Now, the computer has become our best friend. 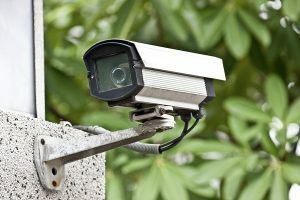 From computer visions, machine learning, and artificial intelligence rising in popularity, the usefulness of video analytics is finally gaining some traction within the security industry as a whole. Instead of just seeing moving pixels, we are capable of seeing 4-D reconstruction models of two-dimensional video images. As a result, security personnel can immediately leverage that information to understand better if a person or seemingly suspicious object has been detected or not. We all live incredibly busy lives. It can be quite hard to determine whether someone is acting suspicious or is just in a hurry to get to work or a meeting. However, with advanced video analytics, investigators can become armed with the situational awareness they need to begin any type of investigation. This entry was posted on Thursday, August 10th, 2017 at 9:31 am. Both comments and pings are currently closed.